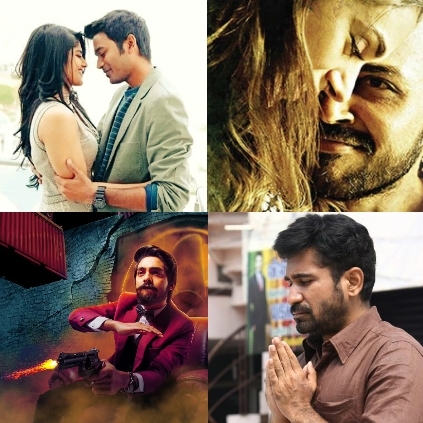 DHANUSH, KARTHI, GV PRAKASH AND VIJAY ANTONY COME FOR NEW YEARS! Dhanush and Gautham Vasudev Menon’s Enai Noki Paayum Thotta song teaser to release today (31st Dec) at 6pm. The music director has not been revealed yet but the fact that Dhanush has written the lyrics for a song from the film is evident from his recent Twitter post. We can expect the music director to be revealed today. GV Prakash’s next Action-comedy flick, Bruce Lee has been censored with a clean U certificate. The film’s runtime is 124 minutes and the film will hit the screens on Pongal. Mani Ratnam’s Kaatru Veliyidai starring Karthi will have its first teaser releasing on 1st January 2017. The film is expected to release in March 2017. After 2 successful ventures with Pichaikaaran and Saithan, Vijay Antony’s next, Yeman to release in February 2017. Vijay Antony will be collaborating with Lyca productions for the first time. Big deal for Raghava Lawrence's Sivalinga! Bairavaa to come along with Thuppakki! People looking for online information on Bruce Lee, Enai Noki Paayum Thota, Kaatru Veliyidai, Yeman will find this news story useful.